Chinese drone manufacturer DJI has opened a new facility in South Korea that allows drone owners to learn more about flying their craft. The DJI Arena offers 1395 square meters/15016 square feet of dedicated space for education as well as obstacle courses for those wanting to show off and practice their aerial navigation skills. 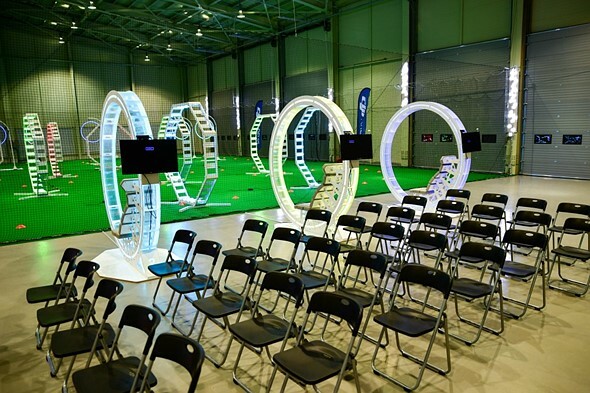 Situated in Yongin 20 miles south of Seoul, the arena will host an academy for pilots between the ages of 8 and 16, as well as individual and group sessions for adults, schools and businesses. DJI claims it wants to ‘make aerial technology more accessible, reliable and easier to use for anyone who wants to use it’ and to ‘play an important role in building a healthy UAV ecosystem in Korea.’ The company provides drones for those on education programs while others will need to bring their own. Members of the public can book three-hours sessions that cost the equivalent of $13.50 per person. For more information see a translated version of the DJI Arena website. Providing a safe and fun environment for new pilots and aerial enthusiasts DJI, the world leader in unmanned aerial vehicle technology, officially opened its first DJI Arena in Korea to the public today. The facility aims to provide a gathering place for aerial enthusiasts as well as a practice venue for those who are learning about aerial technology such as first time pilots. * Individual & Group Booking: Visitors are required to make reservations via an online application form (http://blog.naver.com/djiarenakorea). For those visiting from outside of Korea, reservations can be made via djiarena.kr@dji.com by including their full name, expected date and time of arrival, and number of participants. The reservation will be confirmed upon confirmation of the venue’s availability. Each booking session is for three hours and the entrance fee is 15,000 KRW (USD 13.50) per person per session. The maximum capacity of each session is 12 people and will be given on a first come first serve basis. The availability of individual and group booking is 7pm to 10pm on weekdays and 10am to 8pm on weekends. * Corporate Event Rental: Rental for corporate and special events is available between 10am-8pm all week. The minimum venue rental fee is 500,000 KRW (USD 452) for 30 people and 30,000 KRW (USD 27) per additional participant. Booking must be made two weeks in advanced. * Flying Academy: Children between ages 8 to 16 can also learn about DJI’s aerial technologies and become a skilled pilot. As part of the program, participants will learn the features of the Phantom 4, safety tips and best practices, and complete a total of eight practice sessions during the course of one month. The Flying Academy will commence later in September. * Private Training: DJI’s professional pilot will be available for 1:1 training if participants prefer a more tailored program. To start, participants will learn how to fly the Phantom 4, one of the most intelligent and easy-to-fly consumer drone with features such as ActiveTrack, TapFly, Obstacle Avoidance and a Sport Mode. * School Tours: DJI Arena is the perfect place for students to learn about UAV technologies and a great venue if schools are looking for an educational and fun experience for their students’ next field trip. The program can be tailored for the school with booking done in advance. Each session usually runs for two to three hours depending on the number of participants. 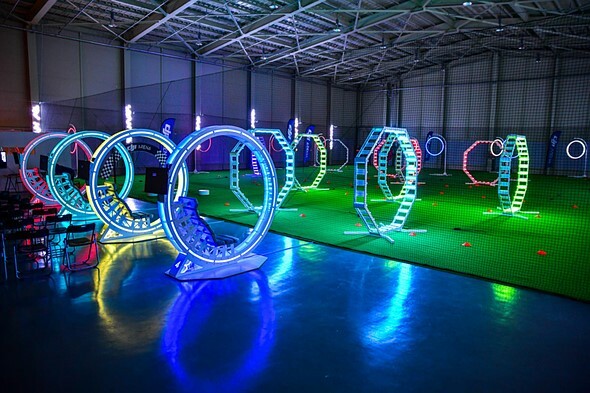 The DJI Arena is located at 441 Mabuk-dong, Giheung-gu, Yongin City, Gyeonggi Province, South Korea. The venue will be open for public tours between 5pm – 9pm this Thu Aug 18 and Fri Aug 19.